What to Pay Attention to Before Buying a Baler? In order not to affect the use of the functional equipment of the Plastic Baler Machine. And in order to make better maintenance and maintenance of the baler, when we install the baler, in addition to concerns about some equipment parts of the baler installation, there are some things that are often ignored by the installer. In fact, the choice of location when installing the baler is also very important. There is also the adjustment method before the baler is used is also very important. Before and after buying a baler, one of the tasks to be done is to design the installation site. Guarantee the best production efficiency. It makes the waste paper feeding and finished product packaging output more convenient and quick. 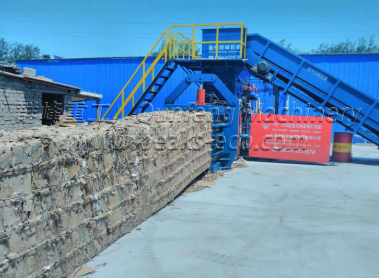 We supply Plastic Baler Machine and Waste Transfer Equipment. If you have demand about our products, welcome to contact us!